You've joined the splitboard revolution, and stacked up one heck of a touring setup right down to the Karakoram Bindings. But as soon as you start up that dicey sidehill, you lose all lateral support. No wonder you see all those guys rocking old TLT5 hardboots. 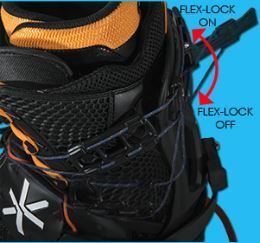 Instead of turning to the world of hard-boot hell, snag this handy little Karakoram Flex Lock. Simply flick the ratchet down on the way up for lateral support, then release it as you arc, jib, and poke your way down whichever face you've just bagged. One Flip Operation  Quick 180° flip from flex-off to flex-on. Full range of lateral flex when flex-lock turned off. 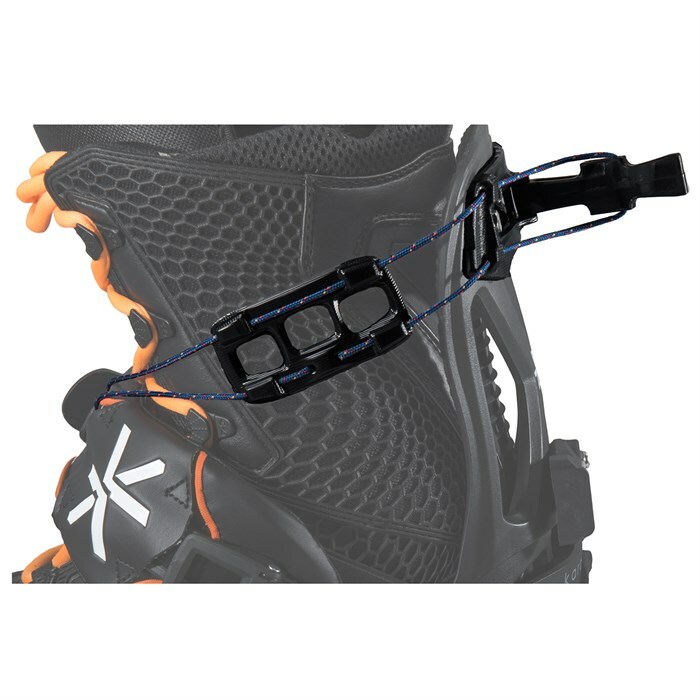 Triangulation Between Top of Highback and Ankle Strap  Prevents ankle from rolling over allowing for maximum power transfer to the edge of ski.